Love eating mutton chops and salami, sausages and other red and processed meat regularly? You could die early! Red meat and processed meat may be delicious but there are many reasons why it is never featured on the lists of healthy foods to eat. In fact, those with heart problems and obesity are always told to stay away from processed meat and red meat. Now a new study establishes why processed meat and red meat is bad for you. The study published in the journal Nutrients says that even when consumed in small quantities, processed meat and red meat can increase the risk of death, especially from cardiovascular disease. Processed meat is meat that undergoes various processes like curing and smoking to enhance the taste and flavour of the meat. In the study, about 90 per cent of the subjects were people who consumed about two ounces or less (i.e. about 60 gms) of both processed meat and red meat per day. Up to 2,600 of them died due to cardiovascular disease and 1,800 died due to cancer. This showed the link between red and processed meat and the risk of cardiovascular disease deaths and deaths due to other diseases. the problem with processed meat and red meat is also that these meats are cooked in unhealthy ways — by deep frying in unhealthy fats or grilling — which could further lead to health problems like insulin resistance. This is not the first time that the dangers of processed meat and red meat have been highlighted. Here is why it best not to consume your favourite hot dogs and mutton biryani. Non Alcoholic Fatty Liver Disease (NAFLD): A study found that consumption of red or processed meat may increase the risk of developing non-alcoholic fatty liver disease (NAFLD). Red meat eaters generally had a higher body mass index (BMI), caloric intake and an unhealthy metabolic profile, according to the study, all of which increase their risk of NAFLD. People with NAFLD who ate these meats had an increased risk of cancer, Type 2 diabetes and heart diseases, according to the study that was published in the Journal of Hepatology. 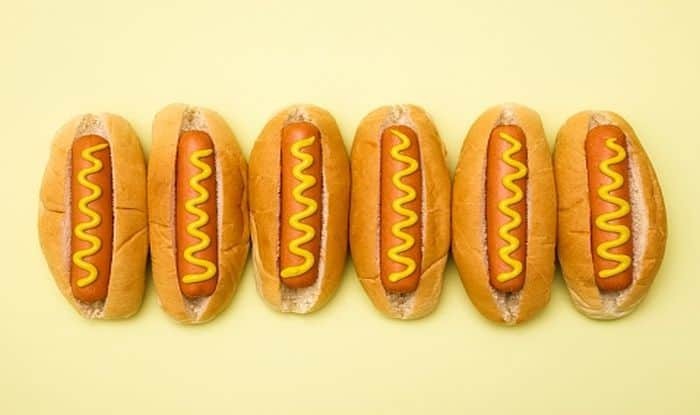 Cancer: The association between colorectal cancer and processed meat is because of the presence of preservatives like nitrites and nitrates that are added during meat processing which could be converted into cancer-causing chemicals in the body. It has hence been classified as a carcinogen by the World Health Organisation. Mania: Psychiatric disorders like mania are common among people who consume red meat frequently, said researchers from the Johns Hopkins University School of Medicine. Consumption of such meats could indirectly impact your intestinal health and that the germs in the intestines could influence the brain leading to manic disorder, according to the study. Sexual health problems: Processed meat could hamper sperm production and could lead to problems like male infertility if the consumption is not reduced and restricted. Miscarriages: Processed meat and other foods often contain the bacteria listeria monocytogenes which causes listeriosis. When pregnant women consume this, it could lead to miscarriage or stillbirth.